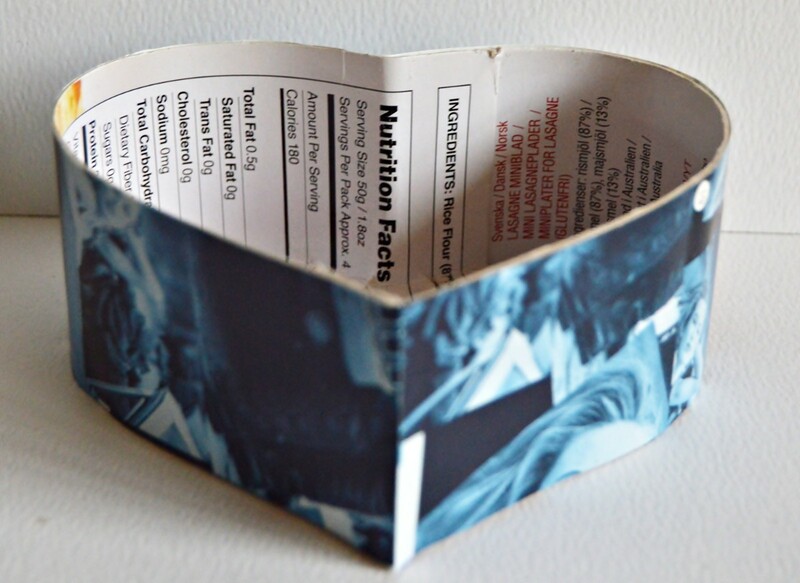 This is a guide about making a recycled heart box. 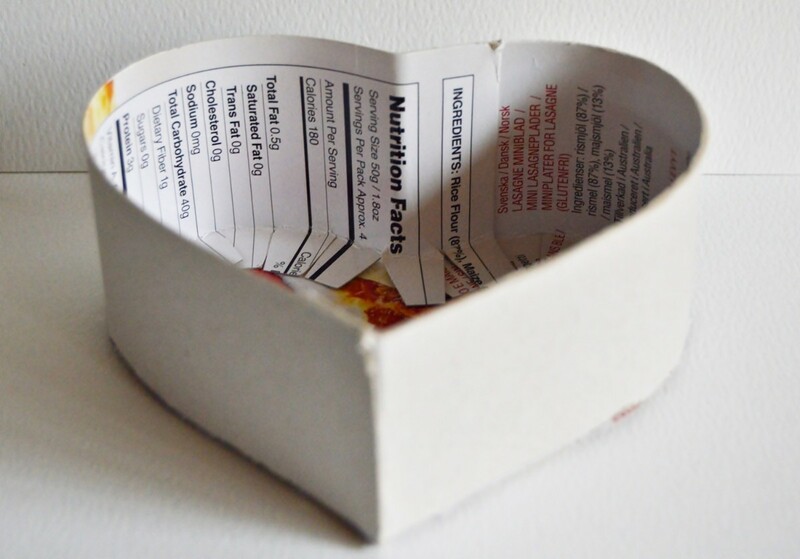 You can easily make one of these adorable little heart boxes out of recycled food packaging. It is easy to customize the size to suit your needs and the decorating possibilities are endless. 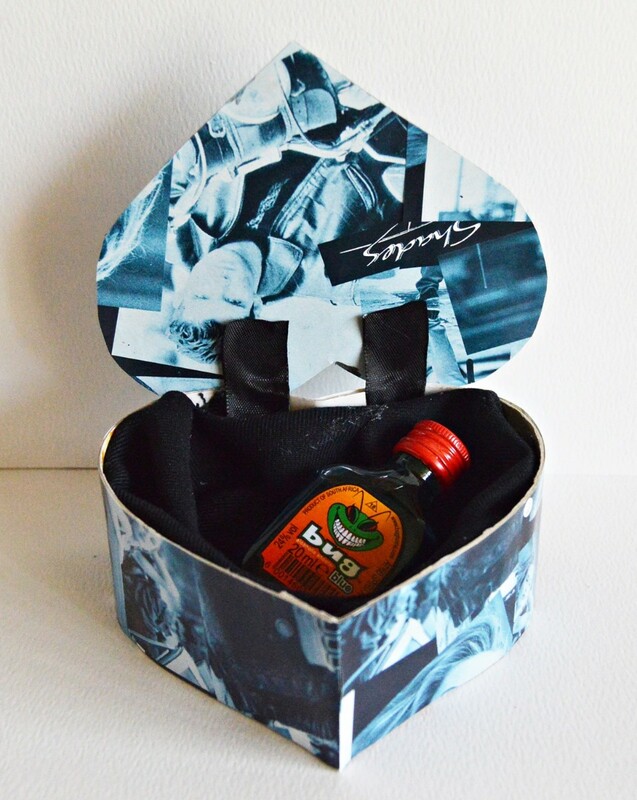 Here is a cute little alcoholic shooter or tot box for your hubby on Valentine's Day. 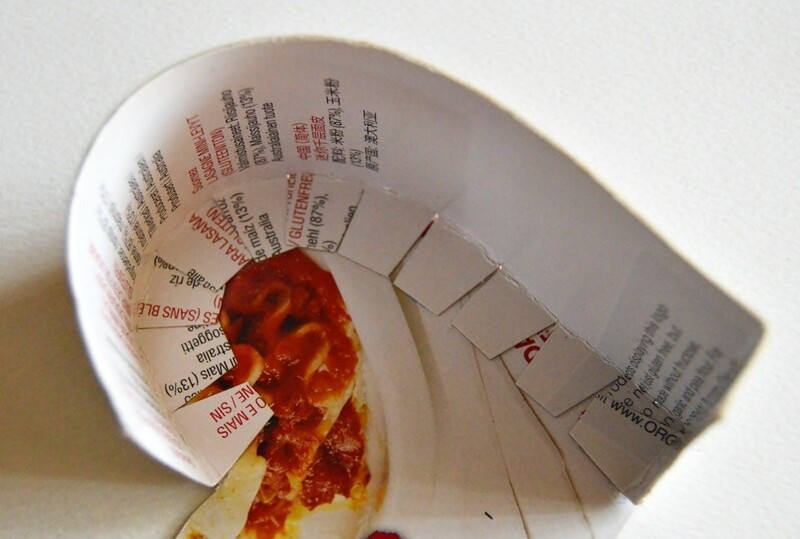 Made from a recycled lasagna box, this box is sure to steal his heart. 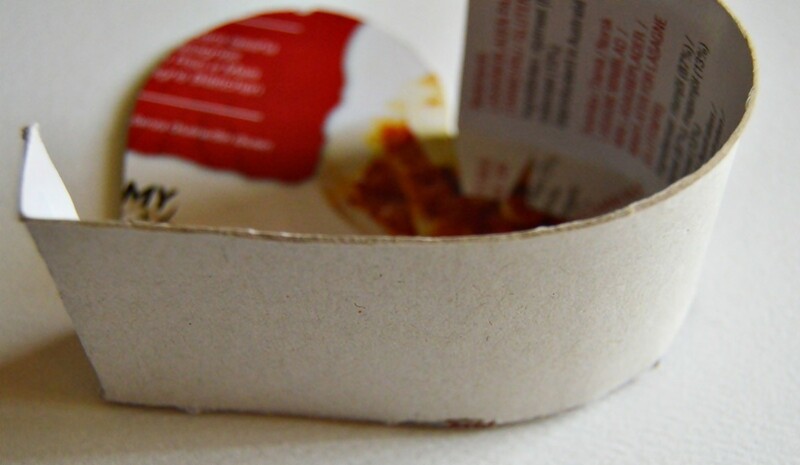 Cut off the top and bottom flaps of the lasagne box, and then cut the box open along the side panels. Place the cookie cutter on the front panel and trace around it. 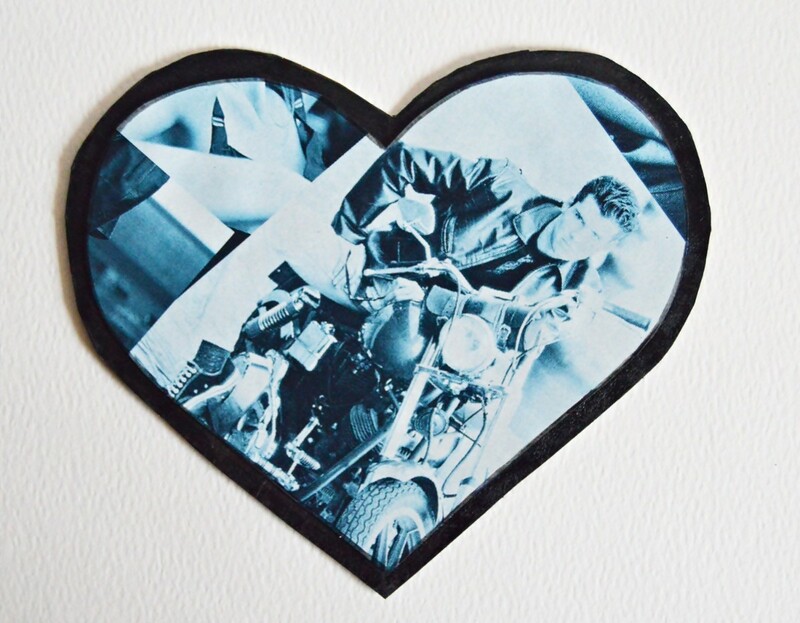 Trace a second heart on to the front panel and then cut out both hearts. 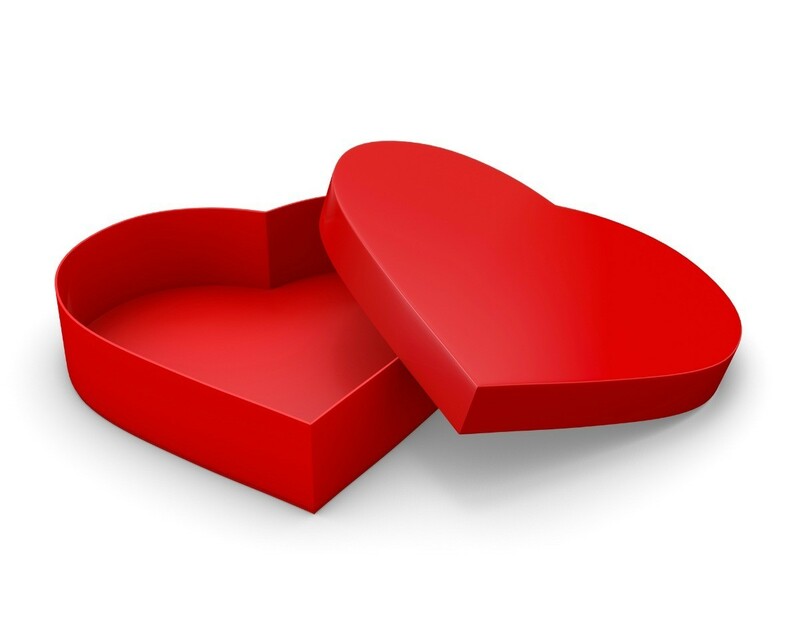 Glue the two hearts on top of each other to make a sturdy base for the gift box. Cut two strips from the side panels, each with a width of 2.3". Note: The length of the two strips together should fit around the heart base, and have a little extra to overlap with each other. Draw a line 1.6" from the side of each strip. Cut indents - about 0.3" apart - into each strip, cutting up to the line drawn at 1.6", and then cut each indent at a slight angle. 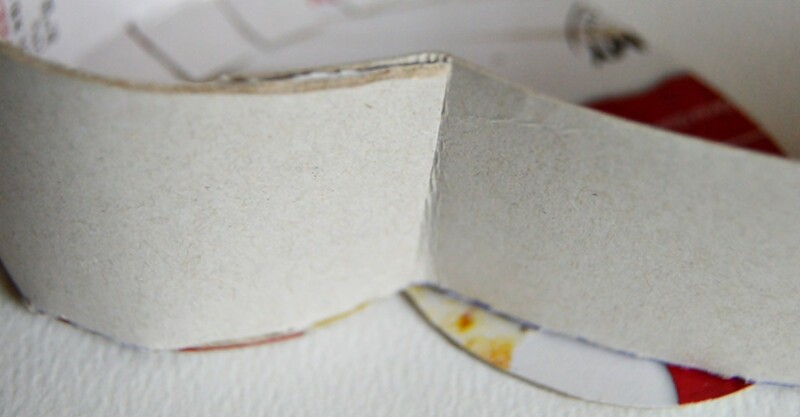 Bend each cardstock flap between the indents at an angle of 90 degrees. Glue the side panels around the heart base, gluing the flaps to the base of the gift box, and making sure that the two side panels are glued together where they overlap. You may need to cut off one or two flaps to ensure a neat fitting where they overlap. Cut strips from the gift wrap and glue them to the side panels of the gift box. 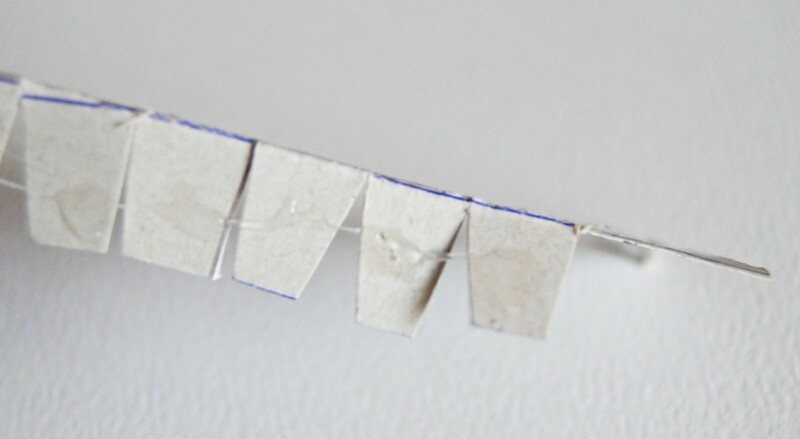 Neatly cut off any gift wrap protruding from the edges. 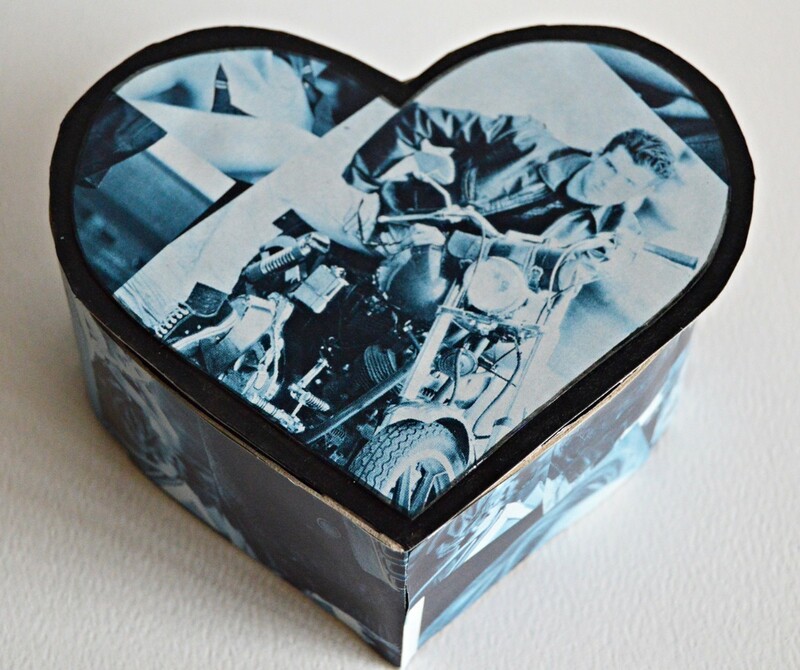 Add glue to the inside and bottom of the gift box. 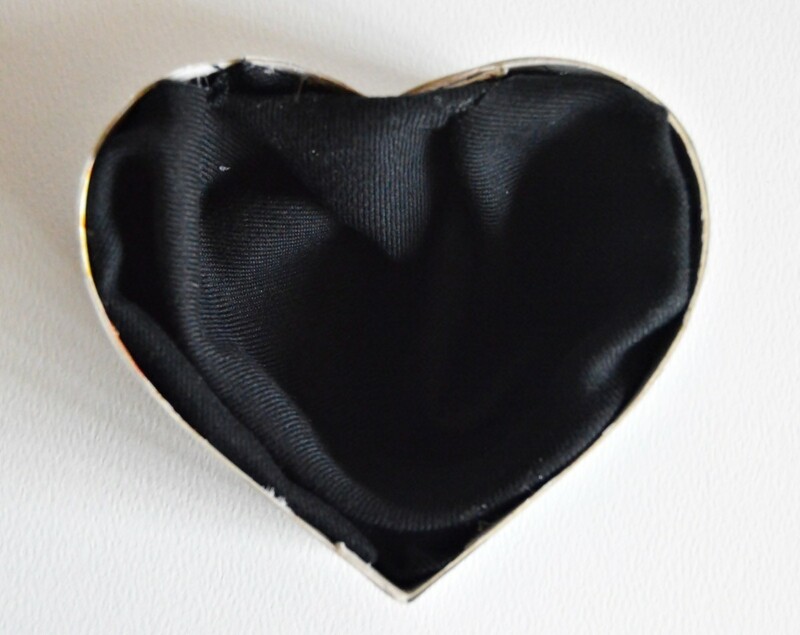 Drape and cover the inside of the gift box with the black linen. 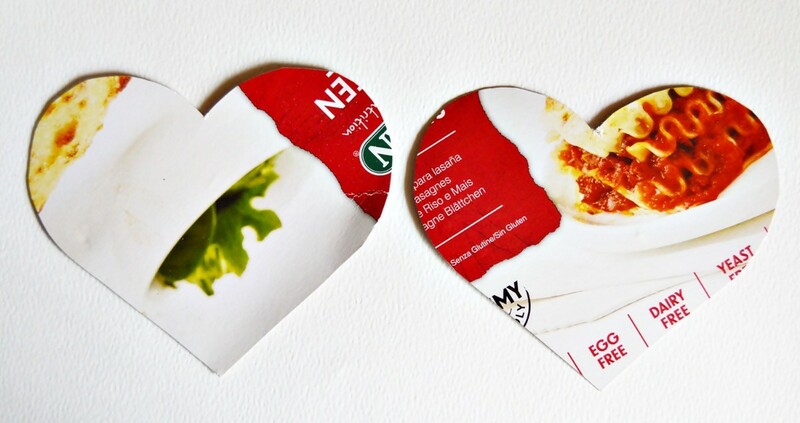 Trace and cut one heart from the back panel of the lasagne box. Trace a second heart on to the remainder of the lasagne box, but trace one that is slightly bigger than the first, and cut it out. 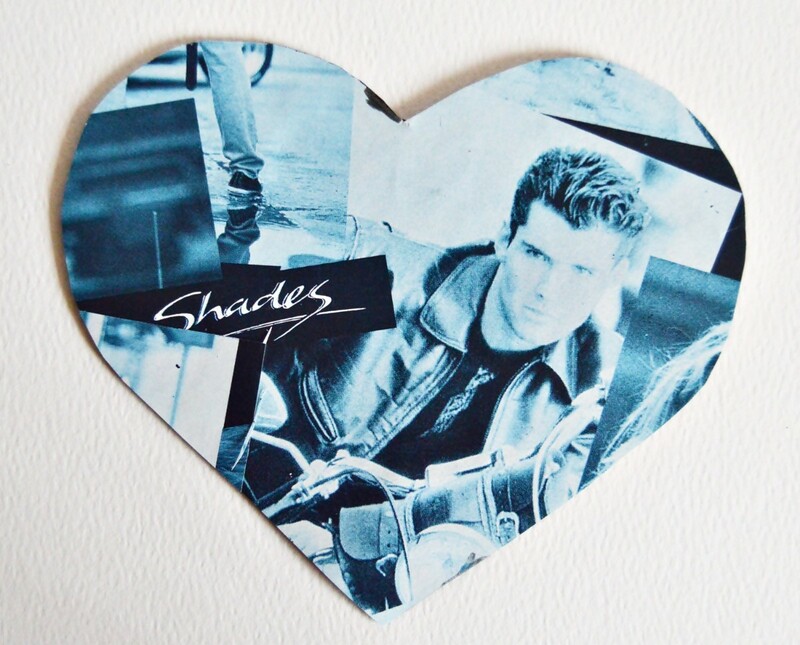 Cover the back of the bigger heart, as well as the front of the smaller heart, with gift wrap. Glue the smaller heart on to the bigger heart. 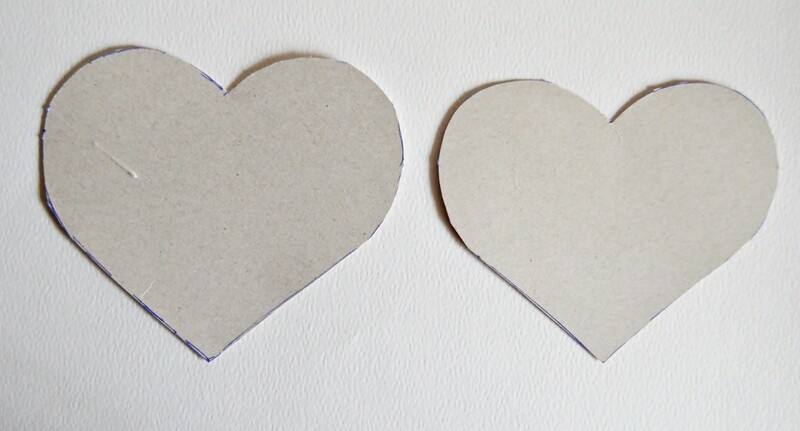 Color the area around the smaller heart with the black felt-tip pen. Glue the one end of each piece of ribbon to the gift box, and the other end to the lid. Pop a small tot-sized "girlie" drink (you do want to remind him of you, don't you? 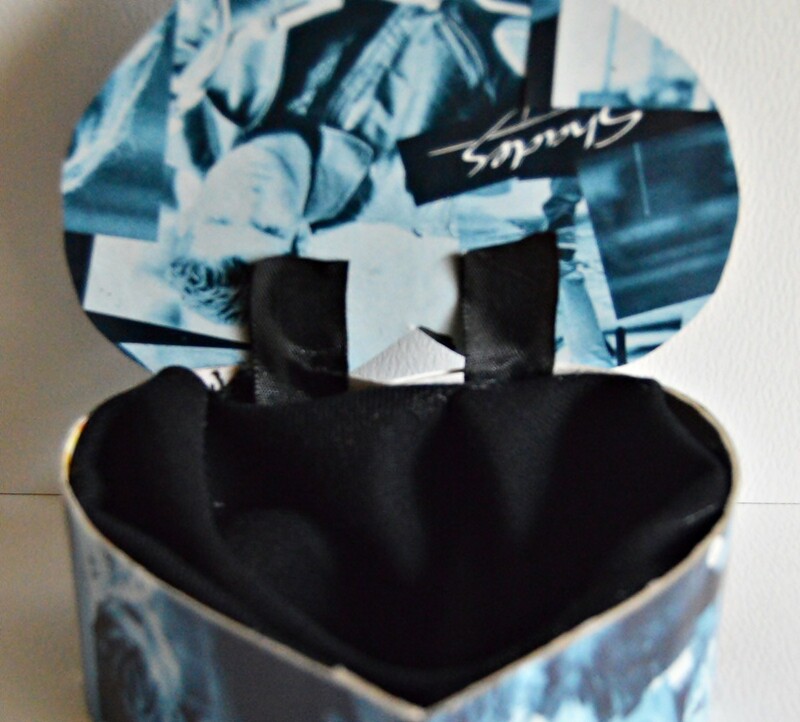 ), such as an alcoholic shooter, into the gift box - and voila! I love it! Well done, Benetta!